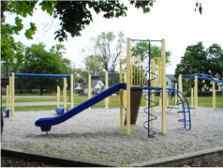 John Marshall Public School is proud to be an elementary school within the District School Board of Niagara. 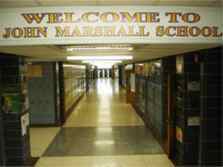 John Marshall has a rich history of academic excellence, school spirit and community involvement in the former Stamford area of Niagara Falls. The present school building was constructed in 1969 with the demolition of an original building on the same site. John Marshall was a highly respected educator within the City of Niagara Falls and retired as an Inspector of Schools for the city. A predominant philosophical approach to instruction at the time of construction was reflected in the open plan concept of classroom configuration. In the Summer of 2010, a million dollar renovation created 12 self-contained classrooms. The library and the computer lab were also renovated during this time. John Marshall is home to the Grade One French Immersion Pilot Program which means students are bussed from all over the Niagara Falls area for Grade One and Two French Immersion. Our English students reside in the surrounding neighbourhood as well as some students who are transported by bus from the Mount Carmel subdivision. Our school population includes student from Junior Kindergarten to Grade 8. The school mascot, the bulldog, reflects spirit and pride around total commitment to students achieving success and celebrating those efforts through school events and recognition programs. Students, staff, parents and community partners form an unbeatable team driven to offer students a safe environment that fosters success for all. John Marshall Public School is a great place to work and grow.